Learning Standards are defined as the knowledge, skills, and understandings that individuals habitually demonstrate over time because of instruction and experience. What are the Learning Standards for Social Studies? Students will use a variety of intellectual skills to demonstrate their understanding of the geography of the interdependent world in which we live—local, national, and global—including the distribution of people, places, and environments over Earth’s surface. Students will use a variety of intellectual skills to demonstrate their understanding of the necessity for establishing governments; the governmental systems of the United States and other nations; the United States Constitution; the basic civic values of American constitutional democracy; and the roles, rights, and responsibilities of citizenship, including avenues of participation. What is the New York State K-12 Social Studies Framework? What are Social Studies Practices? Key Ideas are aligned to the standards and represent enduring understandings that should be the focus of teaching and learning for each grade. Key Ideas are designed to address larger social studies perspectives, trends, and issues. Conceptual Understandings are more specific statements designed to support each Key Idea. Each Key Idea is comprised of approximately two to seven conceptual understandings that are designed to support the larger Key Idea. Together, the Key Ideas and Conceptual Understandings represent the body of Social Studies concepts that should be the focus of teaching and learning. Content specifications, crafted as “Students will…” statements, add further clarity and depth to the Conceptual Understanding by articulating specific content that can be taught to illuminate the Conceptual Understanding. What social studies textbooks or instructional materials would you recommend? New York is a “non-adoption” state. The New York State Education Department cannot recommend a particular textbook, piece of software, instructional resource, etc. School districts have the flexibility and responsibility to identify appropriate content and resources to implement instruction aligned to the NYS K-12 Social Studies Framework. What is the Social Studies Field Guide? What is the Resource Toolkit? The Resource Toolkit is a series of Inquiries, developed by New York State teachers, aligned to the Framework and using the Inquiry Design Model (IDM). The Toolkit resources, including Inquiries, conceptual foundations, professional development resources and a video series are located at C3 NYS Teachers Resources. Each Inquiry is more than a single lesson, but less than a unit. It may address an entire key idea or a portion of the key idea. An Inquiry can be adapted and modified by teachers; although they are identified by grade level, sources may be appropriate for use in other grades. What are the regulations for social studies instruction? the equivalent of clauses (a), (b) and/or (c) of this subparagraph, as approved by the local public school superintendent or his or her designee or by the chief administrative officer of a registered nonpublic high school. See Part 100.5(a)(6)(ii). What other requirements are in New York State Education Law related to social studies education? Section 801. Courses of instruction in patriotism and citizenship and in certain historic documents. Section 801a. Instruction in civility, citizenship and character education. Section 802. Instruction relating to the flag; holidays. Section 802a. Instruction relating to general elections. Which Regents Exams in Social Studies must a student pass to receive a high school diploma? Regents Exams are offered in Global History and Geography and United States History and Government. In order to receive a high school diploma, a student must pass 5 Regents Exams. The student MUST pass one Regents Exam in English, Science, Mathematics and Social Studies. Additionally, the student must pass an additional Regents Exam or approved Pathways Assessment. 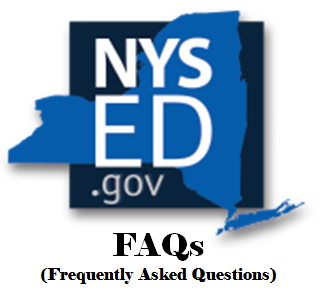 Where can I find information about the new Regents Exam aligned to the NYS K-12 Social Studies Framework? Where can I find information about the time table for implementation of the new Exam? I would like to be involved in test development. How to I apply? Can a school replace the Participation in Government and Economics courses with either Advanced Placement (AP) Government or AP Economics courses? No single AP course can adequately address the focus and content requirements for both courses. AP courses in government may be an equivalent alternative to the Participation in Government course; AP courses in economics may be an equivalent alternative to the Economics and Economic Decision Making course. Equivalency is approved by the local public school superintendent or his or her designee or by the chief administrative officer of a registered nonpublic high school. Can a school replace the Global History and Geography and/or United States History and Government Regents requirement with Advanced Placement (AP) exams? United States History and Government Regents may be replaced with a score of 3 on the AP United States History Examination OR a score of 560 on the SAT Subject Test in United States History. In addition to achieving the established SAT score of 560, students must complete a multi-source, in-depth research project that demonstrates the ability to use primary and secondary sources. Which students may be admitted to January Social Studies Regents examinations? All students must complete their course of study before they are entitled to take a social studies Regents examination. Therefore, students who are completing their course of study in January or who have completed the course, albeit unsuccessfully, in a previous school year may take a social studies Regents examination in January. Schools may not administer January Regents Examinations to classes of students who are enrolled in a full year social studies course of study in Global History and Geography or U.S. History and Government. Can 8th grade students take the United States History and Government Regents Exam? Yes. Students may be accelerated in a commencement-level social studies course in Grade 8 [100.4(c)] if they meet local criteria set by the school district and/or the State Education Department. This course must culminate in a Regents examination in social studies at the conclusion of Grade 8. May a student earn high school credit in social studies prior to entering grade 9? Grade 8 acceleration for diploma credit. in cases where no appropriate State assessment is available, the student passes a course in the middle, junior high or intermediate school that has been approved for high school credit by the public school district superintendent(s), or his or her designee(s), or the district(s) where the middle, junior high or intermediate school and the high school are located. The superintendent, or his or her designee, shall determine whether a student has demonstrated readiness in each subject in which he or she asks to begin high school courses in the eighth grade leading to a diploma. A student shall be awarded high school credit for such courses only if such student passes a Regents examination, a second language proficiency examination when available, or a career and technical education proficiency examination, or, if no such examinations are available, a locally developed examination that establishes student performance at a high school level as determined by the principal. Courses taken pursuant to this subdivision may be substituted for the appropriate requirements set forth in subdivision (c) of this section. Whom do I contact for more information about social studies at the Office of Curriculum and Instruction?